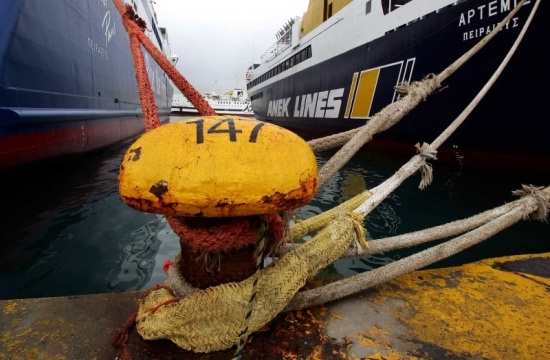 Ferry services from the Greek ports of Piraeus, Rafina, Lavrio and Heraklion (Crete) have been disrupted due to high winds reaching up to 10 on the Beaufort scale, it was announced on Wednesday evening, according to ANA. Authorities have also closeddown the ferry links Agia Marina-Nea Styra, Oropos-Eretria, Harkitsa-Edipsos, Kavala-Prinos, Alexandroupoli-Samothrace, and Rio-Antirrio. Ferry journeys on the Kyllini-Zakynthos line were also interrupted late on Wednesday, with Zakynthos port authorities citing they will issue a new announcement at midnight. The new cold weather front gripped the country on Wednesday, bringing snow to mountainous parts and causing transport disruption while a spate of power cuts across Attica last night was attributed to the impact of the bad weather, ekathimerini.com reports. The fire service was called out on dozens of occasions to rescue people from stalled elevators, while power cuts also plunged certain roads into darkness and knocked traffic lights out of operation, even though there were no reports of collisions. According to media reports, the power cuts occurred after a high-voltage electricity line in the northern Athens suburb of Aghios Stefanos was damaged due to the bad weather. Strong winds reportedly caused trees to fall on power lines in many parts. The road to Mt Parnitha near Athens has also closed due to snowfall. Specifically, the road from the level of the funicular station to the casino has been blocked.